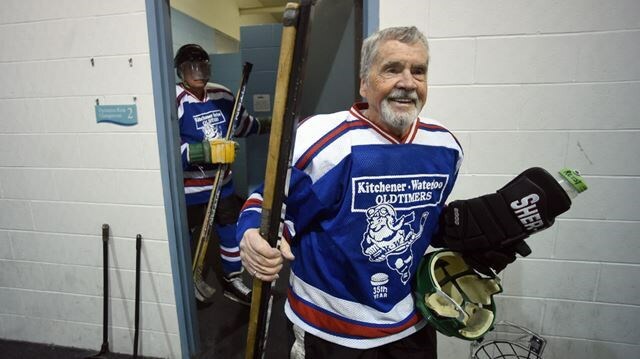 Despite what some may think, it truly is never too late to get into the game of hockey. The game might have a high learning curve and may seem overwhelming at first with all the lingo, equipment, and skills to learn. But the reason the sport is so great is because of the people involved - the most welcoming, friendly, and helpful group in all of sports. You'll find yourself making new friends after one ice time and they'll be there to help you through every step of the process. You'll be shocked at how quickly you pick up the game; the skating, passing, shooting. You'll enjoy the health benefits and find yourself feeling more energized at all times. You'll find that every time you aren't on the ice, the only thing you'll be able to think about is when the your next game is. It doesn't matter what your age or background in sports is. The game of hockey is for literally everyone and there's plenty of camps, leagues, and teams out there for beginners. Jump into the game today and we promise you won't regret it.